The only thing more comforting than a bowl of creamy mac and cheese is a bowl of creamy mac and cheese that won’t land on your hips. Don’t worry, where this dish lacks in fat and calories it far than makes up for in flavor. My secret? An entire head of cauliflower is steamed then pureed with tangy dijon, fresh garlic, Parmigiano-Reggiano and extra sharp cheddar cheese. Before you ask, let me calm your fears: no, you do not taste the cauliflower. Trust me, my husband would have been the first to tell me. In fact, he doesn’t even like mac and cheese but he loved this version. By using whole wheat shells, the dish gets an added dose or protein and fiber that will help keep you satisfied on a smaller portion. In fact, with over 14 grams of protein per serving this pasta would be a perfect meatless entree served with a side salad. For more healthy and easy dinner recipes, check out my Pinterest board! I made this for my twin granddaughters on Saturday. They were staying the night with me and I always try to get more veggies in their meals (they are 19 months). 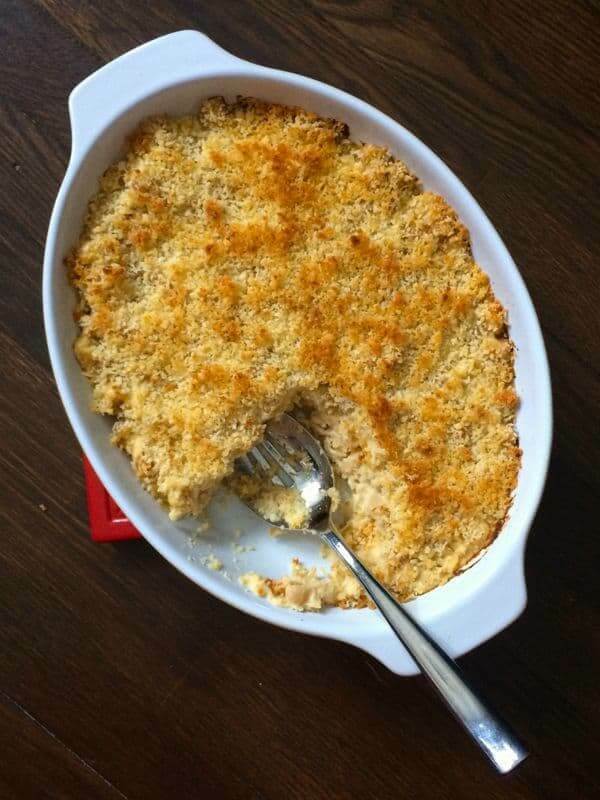 Now mac & cheese is not my personal favorite side dish but I know the girls love it generally as well as my husband. When I first put everything in the casserole it was very creamy and yummy, but after baking it the pasta seemed to soak up all the moisture and it was not nearly as creamy. Did I do something wrong? Is there a fix for this? I do still love that I got in that cauliflower in their dinner. You didn’t do anything wrong – pasta will always absorb the moisture over time. I would say just add a bit more of the liquid ingredients next time? Sometimes certain brands of pasta absorb a bit more of the liquid. Either way I hope it still tasted delicious! 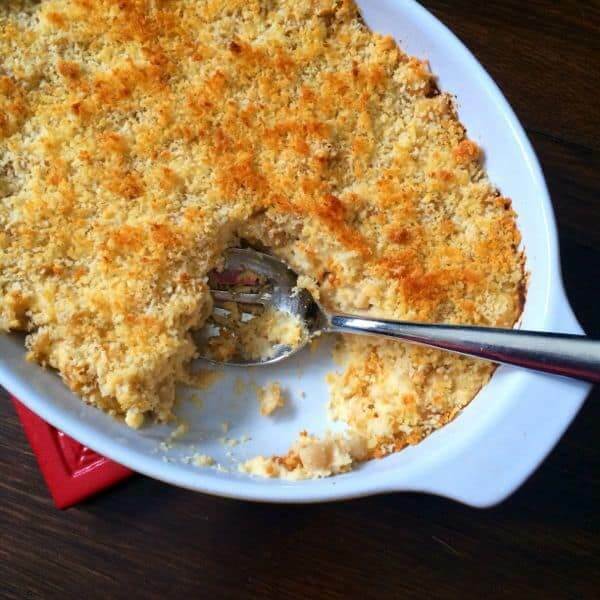 I love mac & cheese, and it’s nice that this one has a veggie in it, so the meal is complete. If you are like me and want more protein, you can use Barilla Plus pasta, which is a high protein version. Hubby and I both need low sodium. How would this be without adding the sea salt? or any salt? Any other suggetions for lowering the sodium content? 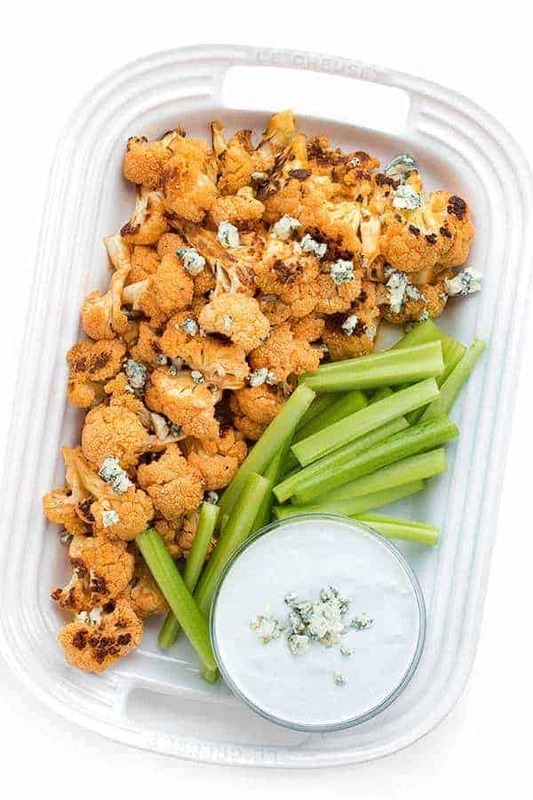 Love the cauliflower and would love to try this. Please help!! Thanks. Your best bet to lower the sodium would be to pick a lower sodium cheese or to skip the sea salt. 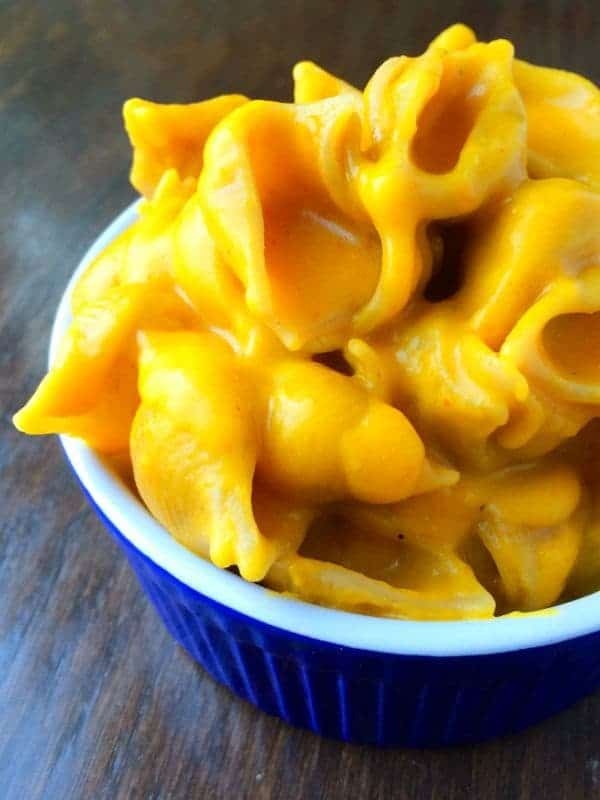 The flavor will be lacking, however, especially if you’re looking to mimic the classic flavor of mac and cheese. Made this for dinner tonight. It took our leftover pork tenderloin to new heights! The sauce was wonderfully creamy and the addition of the mustard and nutmeg gave great flaver. The panko, Parmesan crumbs were delicious! Thanks! Found you through Pinterest. Oh I’m so thrilled to hear it!! Thank you so much Joyce! This looks delicious! Would greek yogurt work in place of regular plain yogurt? I tricked mine! I bet you could trick yours!